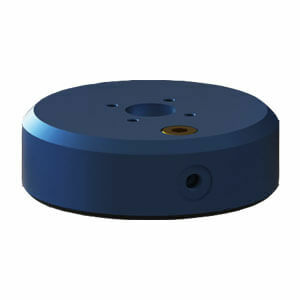 Our round design frictionless motion, flat round air bearings work on flat, nonporous surfaces such as granite, aluminum, glass, and ceramics. We offer a variety of sizes which can easily be used to customize air bearing systems. OAV vacuum preloaded air bearings are a combination of air pressure and vacuum, where the air bearings hold it down and simultaneously lift from the surface.